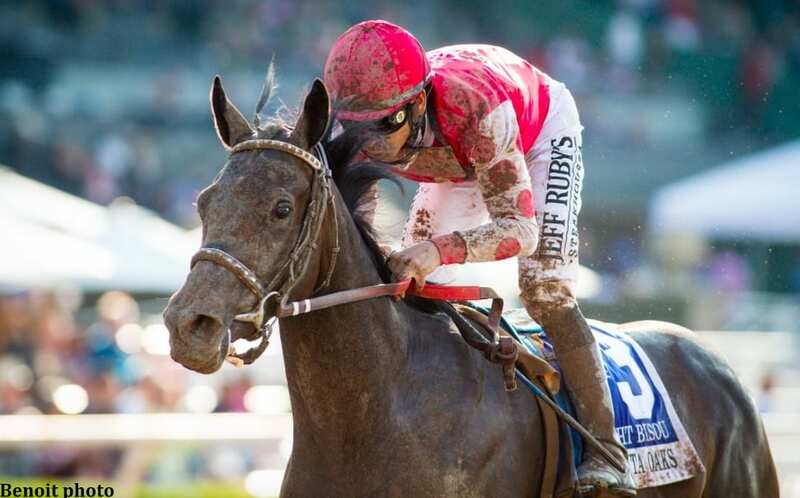 Bloom Racing's Midnight Bisou, winner of the Grade 1 Santa Anita Oaks and most recently third in the Kentucky Oaks, has been turned over from trainer Bill Spawr to Steve Asmussen, reports the Daily Racing Form's Jay Privman. Privman said the impetus for the move was the ownership's desire to race in big East Coast races this year and because the Breeders' Cup is at Churchill Downs and not on the West Coast. Bloom's managing partner Jeff Bloom said Midnight Bisou, a daughter of Midnight Lute, would likely race next in the Acorn on Belmont Stakes day. “This has nothing to do with taking her away from Bill Spawr and everything to do with the opportunities for 3-year-old fillies coming up, all of which are on the East Coast, like the Acorn, the Alabama, and the Coaching Club American Oaks,” Bloom told Privman. This entry was posted in NL Article, The Biz and tagged Acorn Stakes, Bill Spawr, kentucky oaks, midnight bisou, Santa Anita Oaks, steve asmussen, william spawr by Paulick Report Staff. Bookmark the permalink.